MSH Achitects developed a study intended to consolidate the Department of Health and Nutritional Sciences into one common location at the current intramural building on the SDSU Campus. The department has a need for a large physical activity space, teaching labs, and research labs for health and nutrition, as well as faculty and graduate student spaces. With a contextually appropriate addition, the nostalgic intramural building accommodates the entire department under one roof. 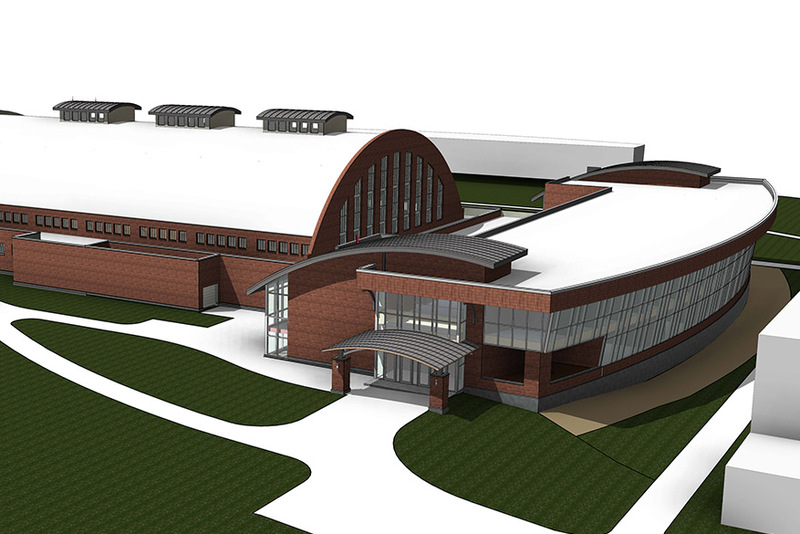 The existing gym will be utilized to include a new wood floor as well as research lab and classroom spaces. The gym area will showcase the open arch steel structural members and wood plank roof deck. Clerestory window openings on the north and south facades and the tall window openings on the north and south façade will be uncovered and restored to allow natural light. The building is an important landmark on the SDSU campus, and MSH Architects’ design ensures that it remain a respected part of the University.